Complete power supply for charging stations to electric cars and charging hybrids 10-63A (Select in the drop-down list). Contains Electricity Meter SDM72DR, Chint NL210 3-phase earth leakage circuit breaker TYP B and three-phase automatic circuit breaker 10-63A. 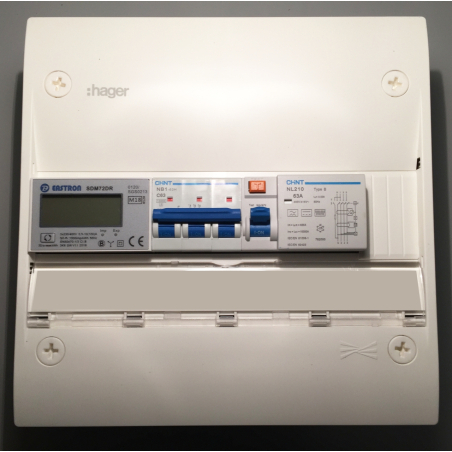 The electricity meter is a simple and reliable meter with three functions, a non-resettable counter, a resettable trip meter and display of the power in Watt, read more about the electricity meter HERE. 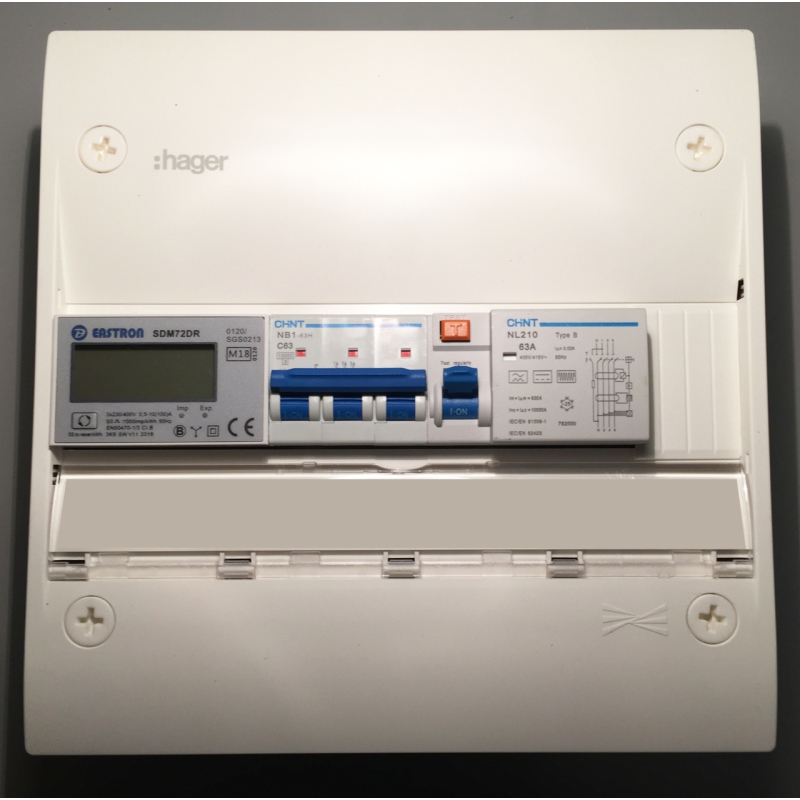 This power station can also be monitored with our data logger Logger 3030 PRO Modbus, measurement values and statistics can be displayed in our cloud solution which then accesses via any platform, mobile, flat or desktop computer wherever you are in the world. Read more about Logger 3030 HERE, HERE or HERE. The kit is delivered in loose parts, a qualified electrician is needed for installation. Scroll down to see / download the electrical diagram.